I’ve been involved in several software companies. One of the things I learned was the importance of ‘beta testing’. You produce an initial version – or ‘beta version’ – of the software and you let people use it. They quickly tell you what works and what doesn’t. Then you improve it and let them test it again. You end up with a product that works. Then you can start selling it with confidence. 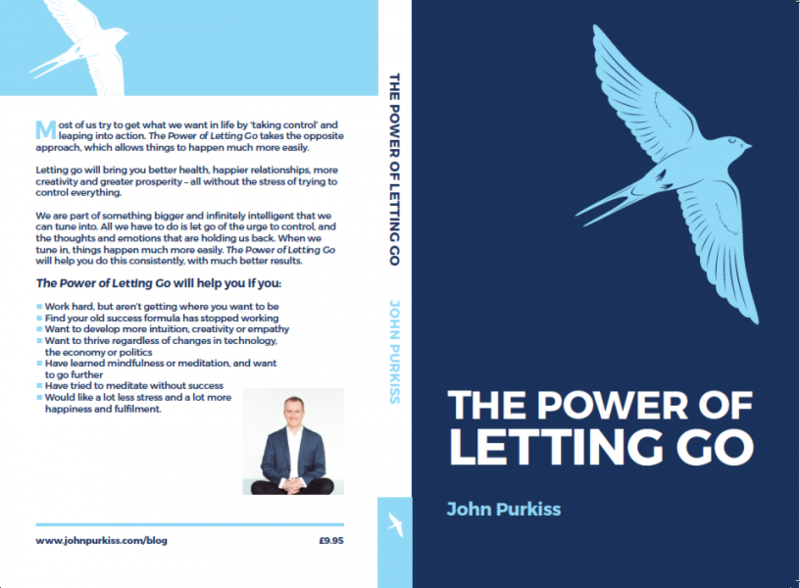 I’ve applied the same technique to my new book, The Power of Letting Go. Essentially, it begins with mindfulness and ends with surrender / enlightenment. There are lots of personal examples and exercises. I wanted to make sure that the whole thing worked for readers from many different cultures. I always write with translation in mind, and assume that some of those reading the English edition will be non-native speakers. The first beta version contained gaps which said “(INSERT SOMEONE ELSE’S EXPERIENCE)” or (“INSERT AN EXERCISE HERE”). Then I printed 108 copies, which I gave to participants at my workshops and to friends and people I met through work. Many of them gave me feedback. Then I adjusted the text and ran another workshop. Since then I’ve produced two more beta versions. My agent / writing coach, Jacq Burns, came up with a much clearer structure, with five chapters instead of 12. It’s more logical and easier to remember. Of course, this process costs money. The most expensive thing isn’t the printing. It’s (a) the layout and design of the text and (b) the cover design. If you’ve written a book – or if you’re in the midst of writing one – you’ll know it requires an enormous amount of time and dedication. The way I see it, it’s worth spending the money if you can, to make sure you end up with a product that works. In this case it’s a book, rather than a piece of software. If your existing or potential clients are going to read it, you’ll want it to be as good as it can be. Some people who’ve read The Power of Letting Go have volunteered to write reviews for Amazon, which is nice. I’m going to save them until we find a commercial publisher.